Basic Mix for budgies. Budgies live in the country of origin (Australia) usually in dry areas, taking little water and often have a meager ration at their disposal. Budgies live in the country of origin (Australia) usually in dry areas, taking little water and often have a meager ration at their disposal. Although budgerigars apparently easily satisfied, it is still important that there is sufficient variation in the mix is present. 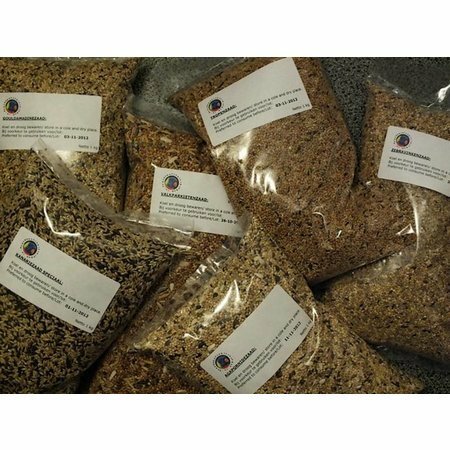 This mixture is not only millet seeds, but also white seed, hulled oats, hemp and black seed. Through this varied food supply, different protein - energy and disposal, which benefit the condition of the budgies.